Going to events means you can meet people and learn more about culture in New Zealand at the same time. Here are some ideas for events you could go to this week. Moonfest at Tahaki Reserve (250 Mt Eden Rd), 7:30pm onwards, FREE. A fun gathering where people can make music and dance together under the full moon. There will be fire performers too! 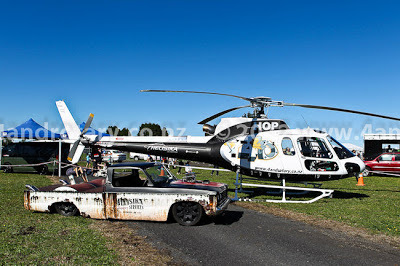 For more information, go to http://www.eventfinder.co.nz/2013/moonfest/auckland/mt-eden. Billy T Jams comedy show at Q Theatre (305 Queen St), 8pm onwards, tickets cost $29.50. Come and watch some of NZ's best upcoming comedians. This would be a very good way to learn more about NZ culture, particularly the famous Kiwi sense of humour. For more information and ticket bookings, go to http://www.qtheatre.co.nz/billy-t-jams-introducing-2013-billy-t-nominees. SkyCity Breakers vs. Adelaide 36ers at Vector Arena (42-80 Mahuhu Crescent), 7:20-9:15pm, tickets from $22.50. If you like basketball, this is the event for you! Auckland's premier basketball club will be playing against Adelaide. For more information and ticket bookings, go to http://www.ticketmaster.co.nz/SKYCITY-Breakers-tickets/artist/1055494. Kohi Summer Swim Series at Kohimarama Beach, 6:15-7:15pm, registrations from $19.50. This is a swimming race in the ocean where you can pay to compete in different races. Instead of entering, you can always go along to watch the action! For more information and registrations, go to http://www.summerswim.co.nz/. 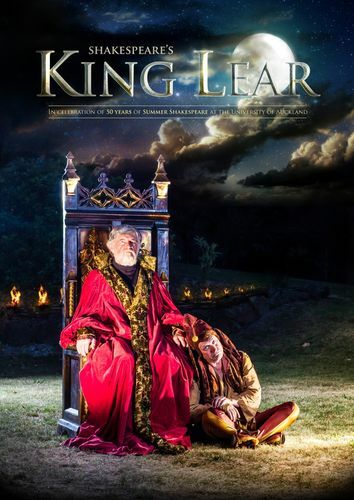 Auckland Summer Shakespeare Presents King Lear at the University of Auckland, 7:30 pm, tickets cost $19.00 with student ID. Enjoy one of the world's most famous plays outside at Auckland University. This will run from Friday the 1st of March to Thursday the 7th of March. For more information and ticket bookings, go to http://www.maidment.auckland.ac.nz/uoa/home/maidment/whats-on-maidment/template/maidment_show.display?showId=534958. Silo Cinemas Presents Kaikohe Demolition & Herb + Dorothy at Silo Park, 5pm onwards, FREE. Come to Silo Park and watch some classic NZ movies by the Viaduct. For more information, go to http://www.eventfinder.co.nz/2013/silo-cinema-presents-kaikohe-demolition-herb-dorothy/auckland. Adorning the Pacific at the Auckland War Memorial Museum, 10am-5pm, FREE. This is an awesome exhibition showing the Auckland Museum's collection of wearable art from the Pacific. There will be talks from experts, making this even another good opportunity to learn more about Pacific culture. It will also be on Saturday. For more information, go to http://www.aucklandmuseum.com/default.asp?t=23&cid=&View=FullStory&eventsID=894. Pacific Showcase at The Cloud, 10am-5pm, FREE. 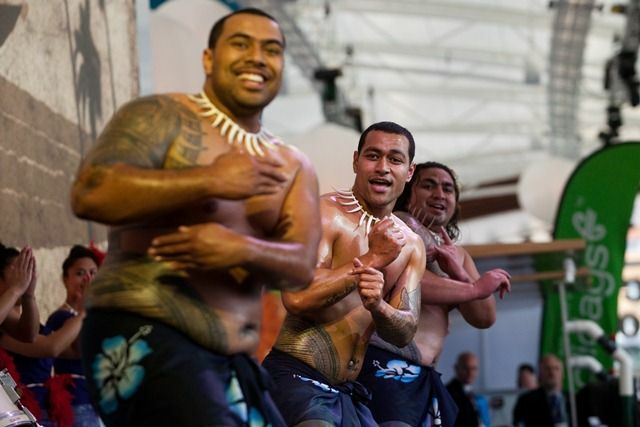 Experience Pacific culture with music, dancing, and more! This is a great way to see all of the best parts of the Pacific. It will be running on Sunday as well. For more information, go to http://www.pacificshowcase.co.nz/. Music in Parks presents Jesse Sheehan, Avalanche City, and Xuri Xruz at Nixon Park, 2-6pm, FREE. Enjoy some of NZ's most popular musicians in the sun this Saturday! Bring along a picnic blanket and relax. For more information, go to http://www.eventfinder.co.nz/2013/music-in-parks-avalanche-city-jesse-sheehan-xuri-xruz/auckland/kingsland. The Snapper Festival at Takapuna Beach, 11am-11pm, tickets from $20.00. An interesting and exciting festival celebrating New Zealand summer and our tastiest fish. It will also be on Sunday from 10am-9pm. For more information, go to http://www.snappersummerfestival.co.nz/. Ardmore Showdown at Ardmore Airport (511 Harvard Lane), 9:30am-5pm, tickets cost $25.00. A fun car show that everyone will enjoy. There will be different kinds of car races, as well as races between cars and planes! For more information, go to http://www.ardmoreshowdown.co.nz/. Pastoral by the Auckland Symphony Orchestra at Raye Freedman Arts Centre (Silver Rd), 2:30-4:30pm, tickets cost $15.00 with student ID. This is a great chance to see Auckland's famous orchestra play beautiful classical music from composers including Beethoven and Grieg. It's also for a good cause! For more information, go to http://www.eventfinder.co.nz/2013/auckland-symphony-orchestra-pastoral/auckland/epsom.